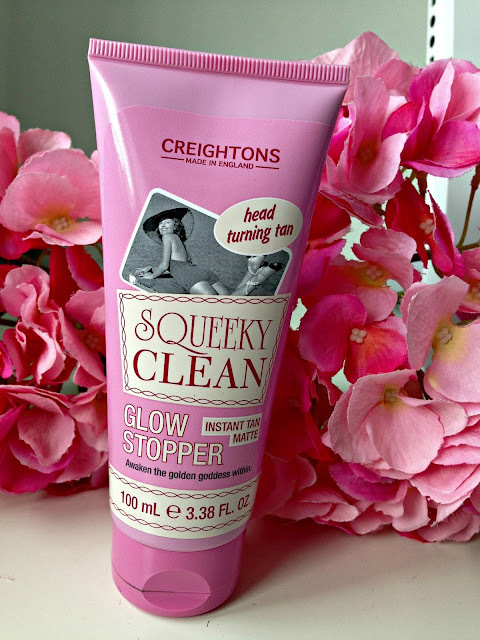 Squeaky Clean Glow Stopper Instant Matte Tan Review! I think I can safely say that I probably will not be going abroad this year - saving up for big things in the future does cost a lot! Unfortunately that means that if I want anything that resembles a tan, I'm probably going to have to fake it. A few months ago now I brought the entire Creighton's Squeaky Clean range from Lidl and slowly but surely I'm testing out all of them in turn and since I was looking for a bit of colour, I thought it would be a perfect time to test out their Glow Stopper instant matte tan gel! As all the products were 99p, I wasn't really expecting the highest of quality from this lotion but price tag aside, I was still looking to becoming a golden goddess. The only way I can describe the application was like I was applying BBQ sauce to my legs - without the smell obviously! It was super runny and it look forever to rub into my legs and even then you could still see where the streaks were. The colour itself was slightly a bit too orange for me and I don't think it could be passed as "natural". Luckily for me it easily washed off in the shower so I didn't have to walk around with Wotsit legs. And as for the matte tan? There was no so matte whatsoever. "Head turning tan"? Yes, because they're all wondering why my legs are orange! I will definitely not be buying this again and I'm glad that I didn't waste too much money on it. Sorry Creighton's but this was a bit of a fail product! This had me laughing! I just don't fake tan. I go to Australia for 3 weeks and don't tan so I don't even bother! I'll make sure I don't give this a go though haha! Oh wow what a difference!!!!!!!!! Haha I'm glad I'm not the only one having fake tan disasters lately. Good job this wasn't a gradual and rather just a wash off! I hate fake tan nightmares, but thanks for the giggle! Safe to say I'll swerve this tan, sounds a disaster! Aw thats too bad! I'm always afraid to try products like this for that reason! Oh no! What a nightmare! I wont be getting this! Thanks for sharing!! You saved me! Oh man, what a bummer! 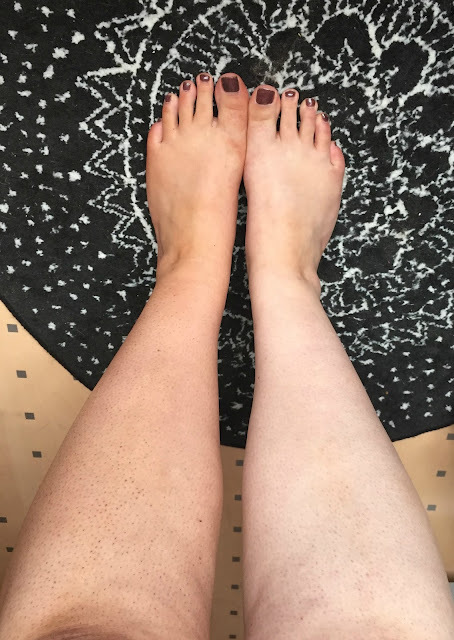 Fake tanners are such a hard product to get right. You'd think after all this time they would figure out how to make ones that don't turn orange-y. Ah that's annoying! I'd recommend the £2 tan from Home Bargains, its buy Bronze Ambition and called 'Fake don't bake'! honestly best tan I've had! Or, St.Moritz is good especially the mousse and thats only £2/£3 too!